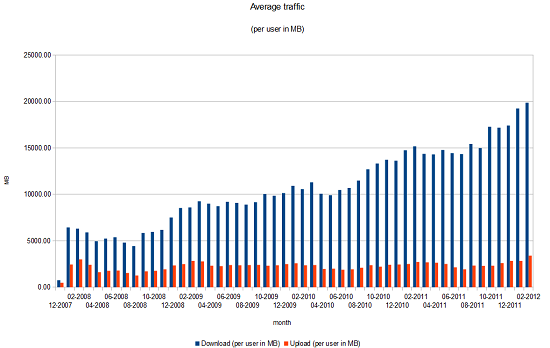 The average monthly traffic per user in MB. very nice traffic report. With what kind of software did you collect these stats. Are they based on accounting information sent to freeradius? So, you developed your own software for that, also for creating those graphs or do you just use your own billing software? Which software is it? It is custom made PHP&MySQL web application and this image was created with LibreOffice Calc (from xls file which is exported from billing).